A stroke is a "brain attack" that cuts off vital blood flow and oxygen to the brain. It is the fifth leading cause of death and the leading cause of adult disability in the United States. There are two distinct types of strokes: hemorrhagic and ischemic. Hemorrhagic strokes are usually caused by a burst or leaking vessel in the brain. Ischemic strokes are usually caused by a blockage or clot in a vessel in the brain. In 2017, 292 people were treated at CalvertHealth with the diagnosis of Stroke or TIA (Transient Ischemic Attack). Of that number 45 were transferred for tertiary or specialized care. Time - If the person shows any of these symptoms, Call 911 immediately. If the person shows any of these symptoms, Call 911 immediately. STROKE is an Emergency, Every minute Counts. Time is BRAIN! The American Stroke Association is solely focused on reducing disability and death from stroke. Please take advantage of this resource and visit their website for further detailed stroke information and education resources. In March of 2008, CalvertHealth was designated a Primary Stroke Center by the Maryland Institute for Emergency Medical Services Systems (MIEMSS) recognizing CalvertHealth meets or exceeds the requirements set by the state for effectively treating strokes. In May of 2013, the hospital was re-designated as a primary stroke center for a five year period. This designation assures stroke patients CalvertHealth is using the latest and best therapies and treatments to ensure the best possible outcomes. In addition, the designation permits Emergency Medical Services (EMS) personnel to transport apparent stroke patients to CalvertHealth over a non-designated center. To receive the re-designation as a Primary Stroke Center, Calvert's program went through a rigorous application process and submitted data on stroke admissions, treatment plans and outcomes. The final step was an onsite inspection by the MIEMSS survey team in June 2013, where a surveyor evaluated our processes, interviewed staff and looked at our outcomes. 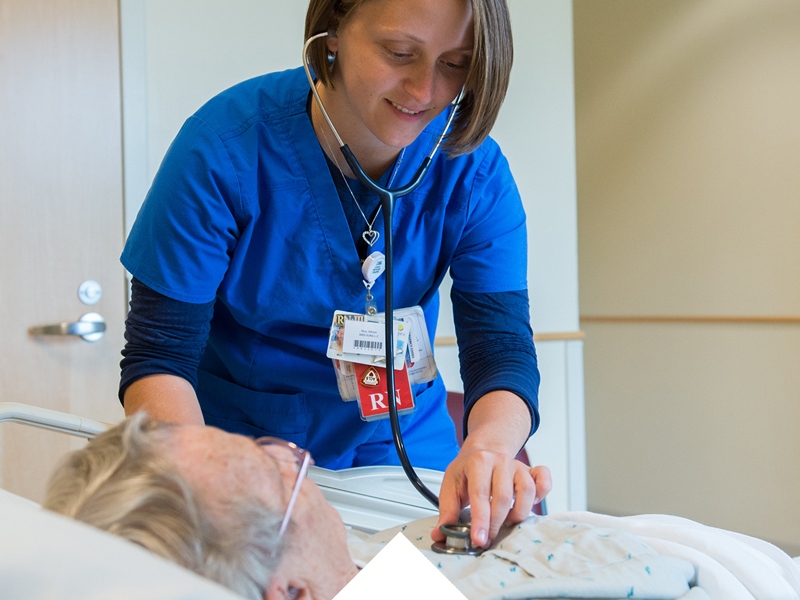 We are continually working to improve patient care and outcomes. In 2007, CalvertHealth joined the national database 'Get with the Guidelines' (GWTG) sponsored by the American Heart Association. This allows us to measure our performance against the best hospitals in the country. CalvertHealth for the last seven years (2012-2018) has received the Gold Plus Award from the American Heart Association. This is the highest award a hospital can achieve. 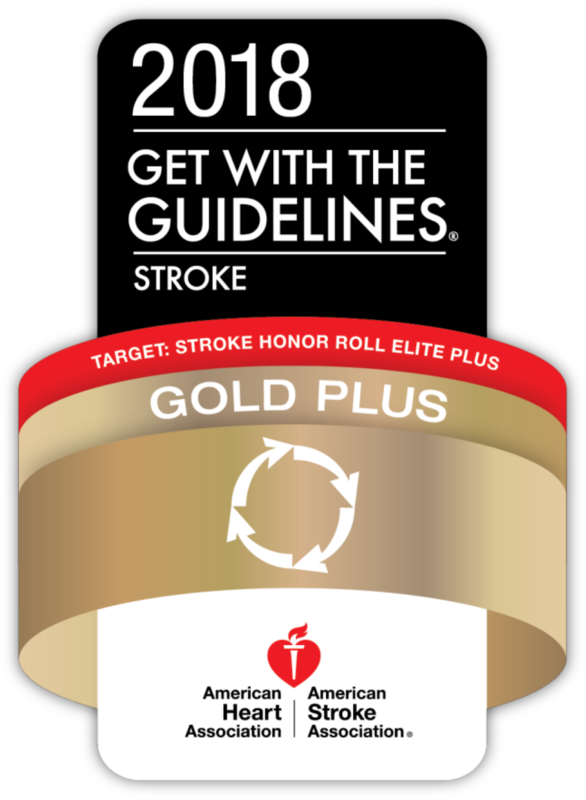 The hospital has also earned the Target Stroke Elite Plus Award. This designation is awarded to hospital’s who achieve 85% or greater compliance with administering tPA to a stroke patient within 60 minutes of arrival to the Emergency Department. If you have any questions about our stroke program, please contact Judi Jones, Quality Outcomes Coordinator at ext. 4759 or via email at judith.jones@calverthealthmed.org. In July 2018, the Maryland Institute for Emergency Medical Services Systems (MIEMSS) re-designated CalvertHealth Medical Center as a Primary Stroke Center. The CalvertHealth Stroke Support group meets the first Wednesday of each month from 5:30 - 7 p.m on the hospital campus. "The group is a great opportunity for survivors and caregivers to share and learn from one another's experiences," said Judi Jones, RN, stroke program coordinator. "We have about 25 who regularly attend," she said. "Some have been coming since we started (in 2004). They enjoy it that much." For information, call 410-414-4759.